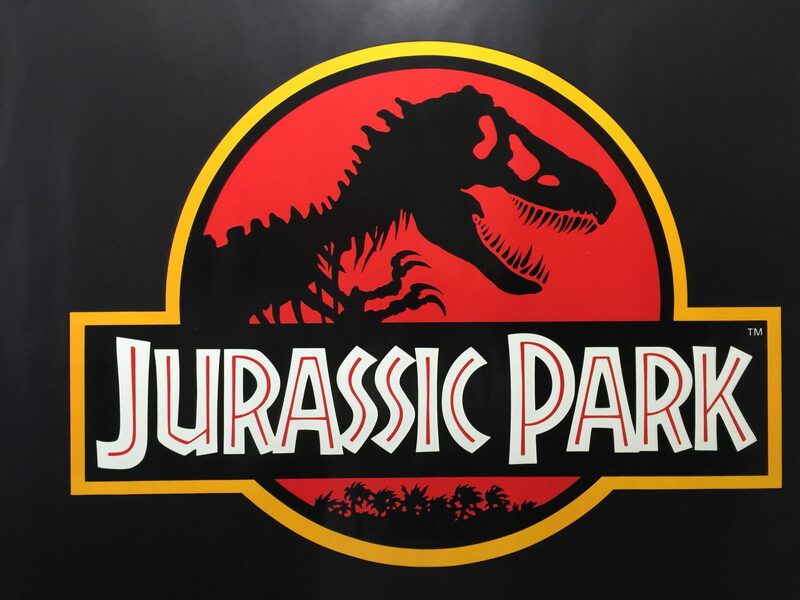 Jurassic Park is a 1993 American science fiction adventure film directed by Steven Spielberg. 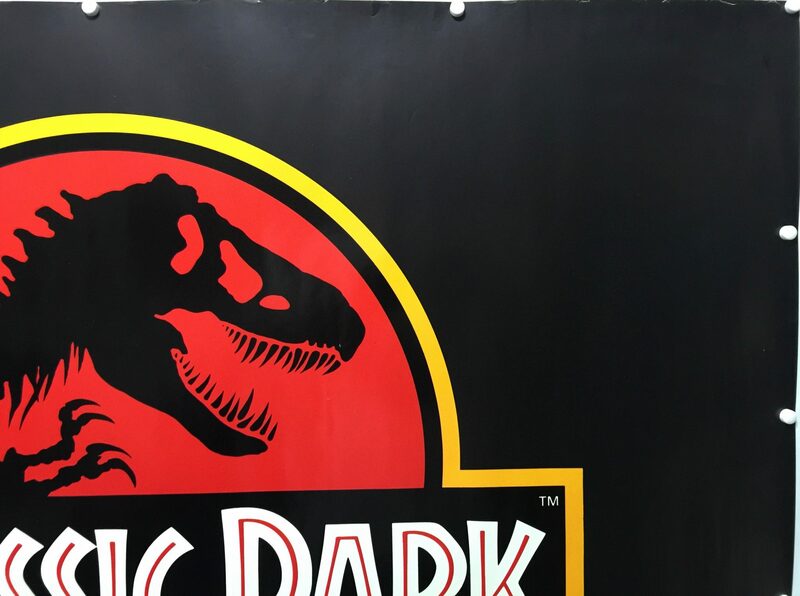 The first instalment of the Jurassic Park franchise, it is based on the 1990 novel of the same name by Michael Crichton, with a screenplay written by Crichton and David Koepp. 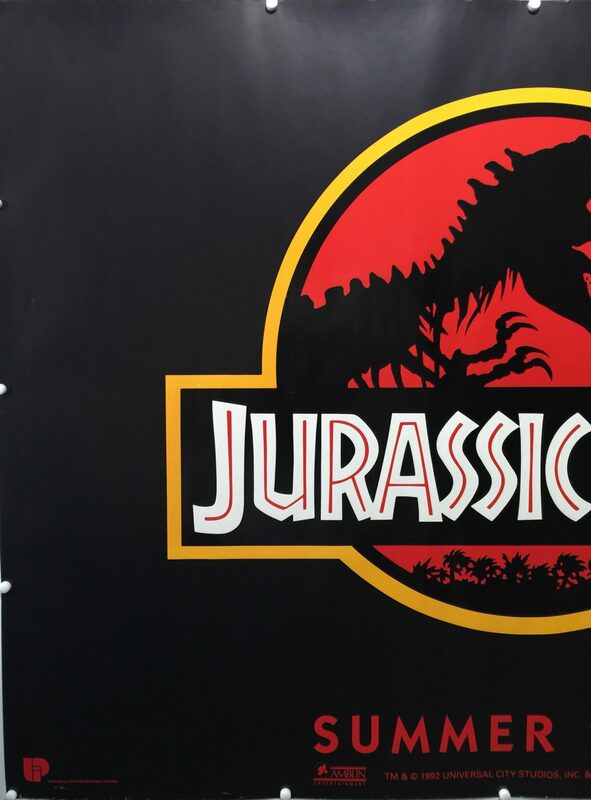 The film is set on the fictional Isla Nublar, an islet located off Central America’s Pacific Coast, near Costa Rica, where a billionaire philanthropist and a small team of genetic scientists have created a wildlife park of cloned dinosaurs. Before Crichton’s novel was published, four studios put in bids for the film rights. 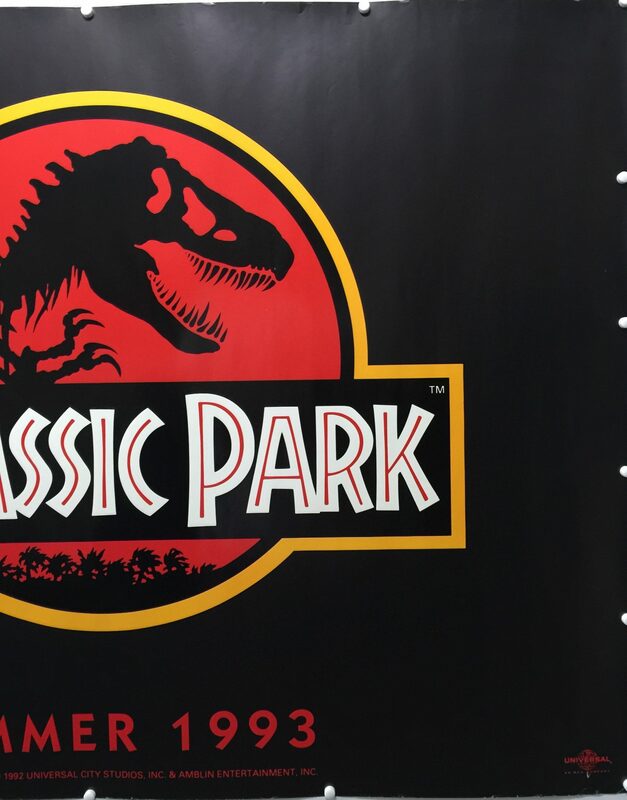 With the backing of Universal Studios, Spielberg acquired the rights for $1.5 million before publication in 1990; Crichton was hired for an additional $500,000 to adapt the novel for the screen. Koepp wrote the final draft, which left out much of the novel’s exposition and violence and made numerous changes to the characters. Filming took place in California and Hawaii between August and November 1992, and post-production rolled until May 1993, supervised by Spielberg in Poland as he filmed Schindler’s List. The dinosaurs were created with groundbreaking computer-generated imagery by Industrial Light & Magic and with life-sized animatronic dinosaurs built by Stan Winston’s team. 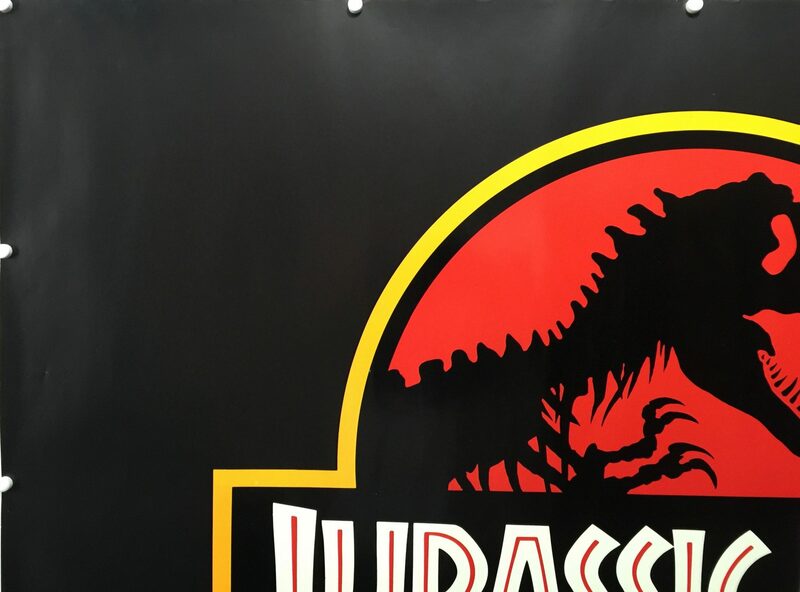 To showcase the film’s sound design, which included a mixture of various animal noises for the dinosaur roars, Spielberg invested in the creation of DTS, a company specialising in digital surround sound formats. 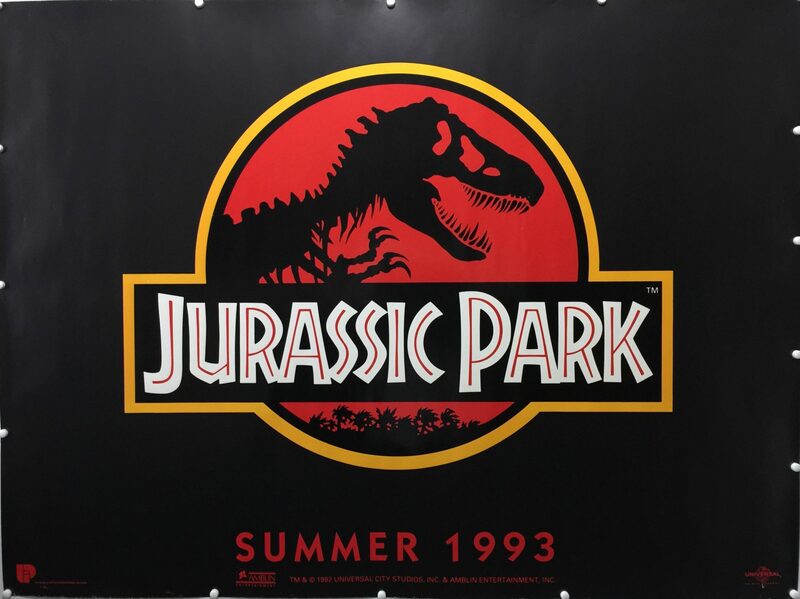 Following an extensive $65 million marketing campaign, which included licensing deals with 100 companies, Jurassic Park grossed over $900 million worldwide in its original theatrical run, becoming the highest-grossing film ever at the time, a record held until the 1997 release of Titanic. 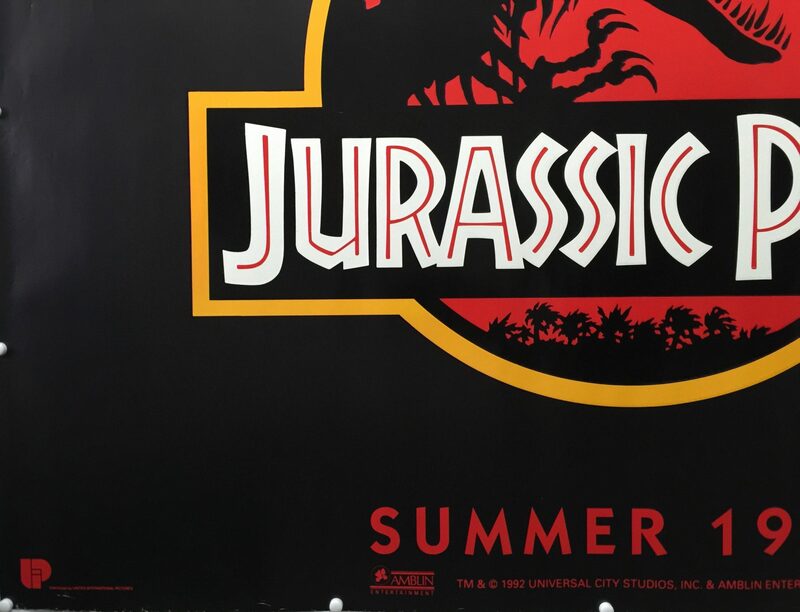 It was well received by critics, who praised its special effects, John Williams’ musical score, and Spielberg’s direction. 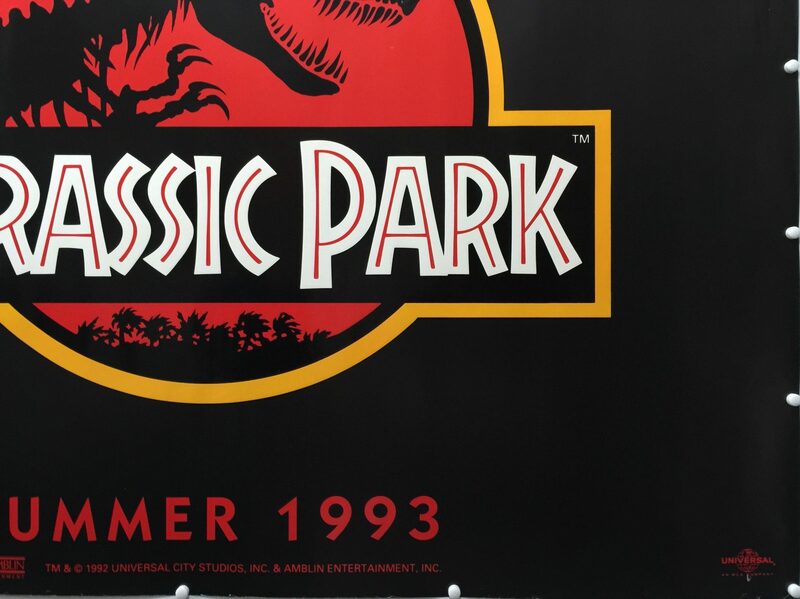 Following a 3D re-release in 2013 to celebrate its 20th anniversary, Jurassic Park became the 17th film to surpass $1 billion in ticket sales, and the film ranks among the 20 highest-grossing films ever. The film won more than 20 awards (including 3 Academy Awards), mostly for its technical achievements. 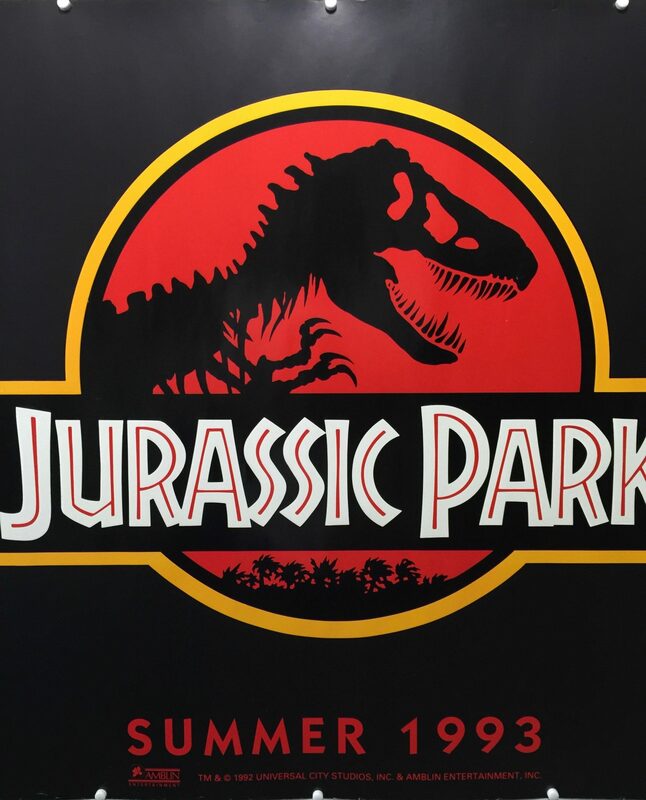 Jurassic Park is considered a landmark in the development of computer-generated imagery and animatronic visual effects, and was followed by three commercially successful sequels, The Lost World: Jurassic Park (1997), Jurassic Park III (2001), and Jurassic World (2015). A fifth instalment is scheduled for a 2018 release.